Imagine your guests' delight when they arrive at their seats to be greeted by these lovely Beach Seashell Place Card Holders. 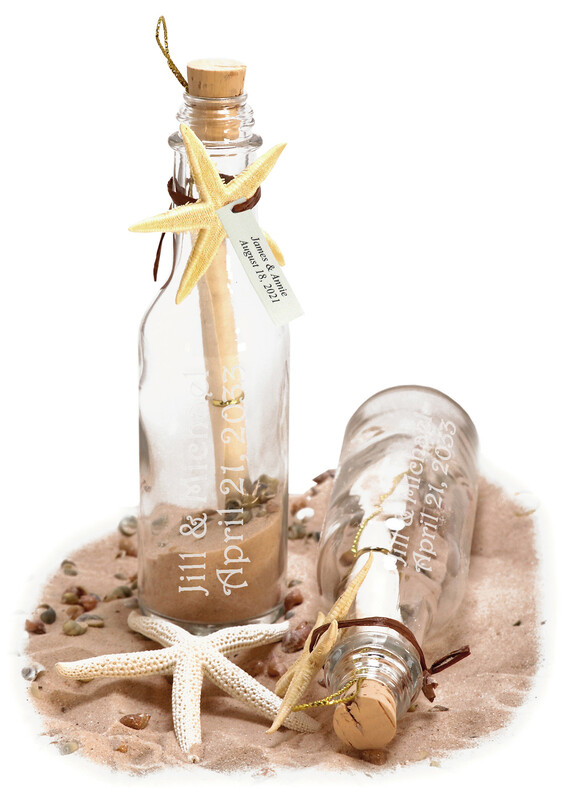 They are perfect for any surfside wedding or any outdoor event that is designed with a nautical theme. Each set comes complete with 12 all natural shells that hold a card that you create. 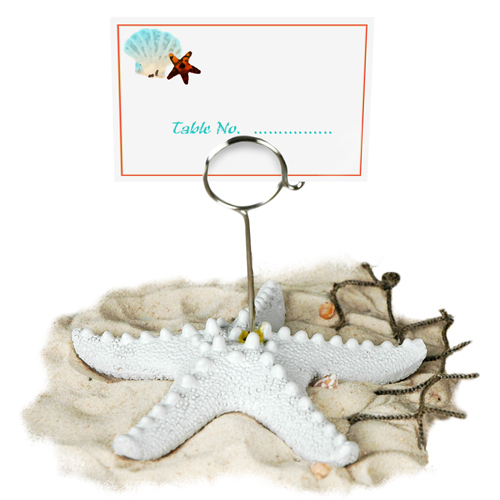 Add one of our beach themed place setting cards to complete the effect. Every element of a wedding can come together beautifully if designed correctly. From start to finish, you can find everything you need here to give your island nuptials that perfect tropical taste. Start the journey into matrimony by inviting each of your guests to your special occasion with our Starfish Wedding Invitations. These creative invites are the perfect way to ask your friends and family to share in the perfect paradise setting you have created to celebrate the voyage into your new life. 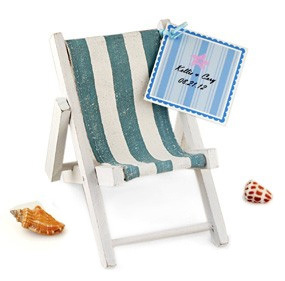 Not only do these creations say surf and sand, they make wonderful keepsakes for years to come. Another great gift idea to give each of your guests is one of our Personalized Turban Seashells. Let these wonderful shells welcome them to their special seat. Have each one printed with your name and date to allow them to remember your marriage forever. Each set of 12 Beach Seashell Place Card Holders comes in different shapes, colors and sizes.